It doesn’t matter what wrestling tourney you are running. Customized championship belts will be the symbols of dominance and the prime motivator in your wrestling ring. They make the owners of the belts have a larger-than-life presence. They become the envy of their competitors and the wrestling tourney becomes even more competitive. The kind of crowds that the championship wrestling bouts attract warrant a careful selection of a belt. Below is a list of the top producers of the customized belts in the world. Note that we have used ProAm Belts as the benchmark with which to measure other providers of wrestling belts. Quality control and customer satisfaction are the hallmarks of the ProAm Belts Manufacturer. The company actually puts a lot of premium on customizing your wrestling belts to standards that are hard to match. This is how they do it. There are horror stories about championship belts ranging from straps becoming unstitched after being handled by rough wrestlers to straps falling apart right there on the big stage. ProAm Belts does more listening than talking when dealing with their customers. The belt is important, but so is the metal that is embossed on the belt. The embossed leather is stitched together with synthetic straps. There is no plastic on the straps. This way, customers get to save their money while still getting their customized belts. The metal on the belt is made either from brass or nickel. These two metals allow better laser cuts and etches to the miniscule detail as prescribed by the customer. 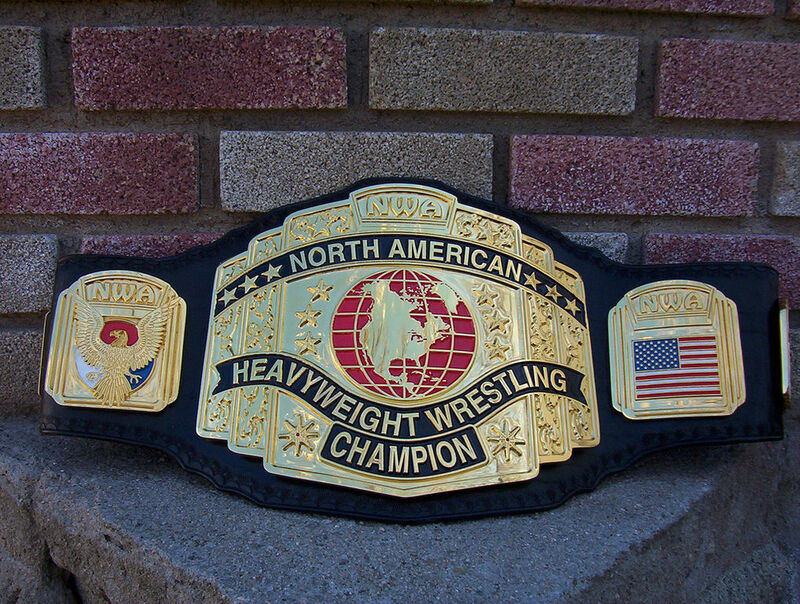 In some rare cases, the customized wrestling belts may be made with casted materials such as aluminum. Customer feedback and 6 years of continuous improvement has allowed ProAm Belts to perfect the right combination of materials for wrestling belts. From leather straps to synthetic straps to metals used on the belt, you can rest assured that your belt can outlast any manhandling. And all this for very low rates! ProAm Belts uses double stitches and triples stitches depending on the size and the shape of the belt. To be on the safer side, ProAm use triple stitching on belts with heavy plates ensuring the belt remains intact for many years. A wrestling belt may have all the quality in the world but if the etching is not customized to the finest details, it will not be up to par. ProAm uses high-end etching machines to ensure client instruction have been followed. ProAm Belts ensures that the straps and plates are tightly riveted to the belt. This ensures that they don’t fall off after a long use. Wrestling is by nature a rough game and thus requires sturdy material on the belts. ​Designs that derive maximum customer satisfaction. Reputable international shipping services such as DHL or USPS. The Wildcat Championship Belts has made a name for itself as the one-stop shop for made-to-specification wrestling belts. The company was originally established to serve the interests of pro-wrestlers but it has grown in leaps and bounds to serve many international events. 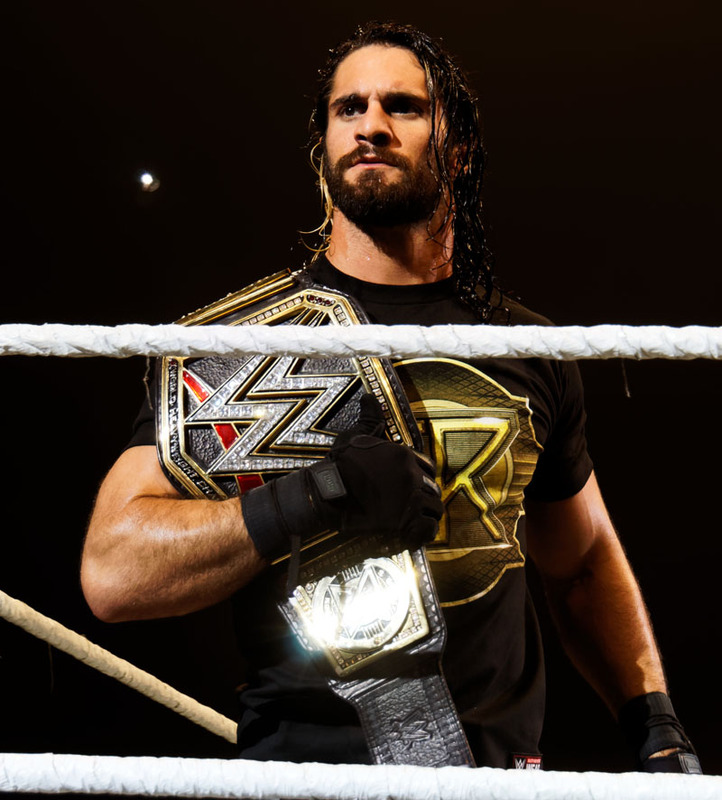 The company has produced belts for the likes of the WWE, Nathan’s Famous Hot Dos, Superstars such as Hulk Hogan and NASCAR’s Tony Stewart, TNA Wrestling and VH1 among others. In short, you will be in safe hands when you are looking for somebody to customize your wrestling tourney’s logos, themes and event titles. The Wildcat Championship Belts is renowned for its creative artworks on its belts from the conceptualization to completion. Its bespoke pattern designs will match your specifications to the last detail whether you are looking to make just one belt on thousands of belts. No customer is small for the Wildcat Championship Belts whether you are doing merchandise for a single event, a seasonal event or a daily wresting bout. It doesn’t matter whether you are just an employee or you are a company. You will get equal attention! Think about it this way: Is there a better way to motivate stellar performers than awarding them a championship belt? Perhaps you have a star sales person who have gone out of duty to ensure skyrocketing sales…isn’t it better to award them a custom belt? 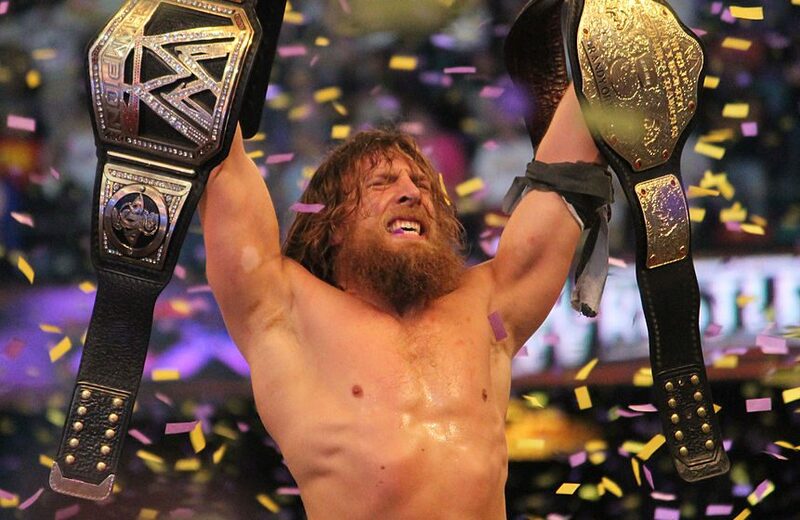 In the same way, star wrestlers get a wrestling belt that represents their achievement. The Brigade Belts prides itself as a one-stop shop where you can get your belt within 5 to 10 business days after ordering. The company offers wrestling belts with sparkling finishes and superior steel. Its belts can come in any texture, weight, beauty and shape. The company competes with its rivals on price, interchangeability with other models, and unmatched shine. The belts and their straps are not premade. They are only stitched together when you place your order. Depending on the complexity of your customized wrestling belt, you may get it within 5 days with free shipping or a maximum of 10 days with free shipping too. You can even design your own belt and have them made by Brigade Belts. This earns you some bragging rights for whichever form of wrestling tournament you are running. The company, upon request, may help you to select the wording and logo to put on the belt. “Stand in Amazement at the detail of your Top Rope Belt made wrestling custom made belt” is the declaration you get on Top Rope Belt’s Website. The company sees itself as the home of champions where only the highest but traditional championship belts are made. “You will get the most value from money with our belts” is another promise that the Top Rope Belts promises its customers. The company has a fully-fledged customer service department that helps you to come up with wording, logo and design ideas. It particularly takes pride in ensuring the customers get a 100% custom-made wrestling belt whose etching is done in-house. You will get no “clip Art” belt designs at Top Rope Belts. The quality and precision given by the design and stitching teams will put many a belt make to shame. Belts made by Top Rope are everywhere. Check out the wrestling tournaments as well as other premiere sporting events where people compete for the belt and you will find the footprints of Top Rope all over. Feel like owning some piece of Aussie custom made wrestling belt? Check out the Championship Gold website to get a view Billy Cantrell (chief belt designer) awesome belts. E promises to take championship gold to the ‘nest level’. With a free worldwide shipping tag on it, you cannot ask for a better deal. Below are couple of the belts on offer along with their pricing. The owner of BeltTalk.com started the Leather By Dan. This is a company that engages in the business of reselling, restoring, repairing and manufacturing championship custom wrestling belts. The company promises to bring forth belts that are equivalent to those shown on TV by major wrestling companies such as MMA and WWA. The company is also a stockist of accessories used to repair existing belts in order to resell them to high-end collectors. If you are a wrestling fan, then you will already have heard of Rey Mysterio Junior, one of the professional wrestling’s best. Well, his love for wrestling and other combat sport led to the creation of the Rey Rey Championship Belts, a company that creates championship belts for the world wrestling champions. Note that the Rey Rey custom wrestling belts are made to match those of MMA fighters and other collectors in the world. The years of experience in making belts for champs ensure that only the best quality are released to the market. The attention to detail, craftsmanship and overall quality of the Rey Rey Belts is something to look for. You may also want to check out Trophy Partner, Build-Ur-Belt and JC Trophies for custom wrestling belts. The trick in getting the best wrestling belts is to get a company that has been making the belts for more than 5 years, and one that had been receiving very good reviews from its customers. You can then insist on getting a sample belt before you place a big order. Do not feel guilty to reject a prototype and cancel the whole order if your order details were not made. Accepting substandard belts may reflect negatively on your brand!